What’s Causing Kim Kardashian’s Hair Loss and Bald Patches? 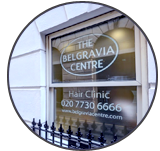 Belgravia Centre Hair Loss Blog > Blog > Hair Loss > What’s Causing Kim Kardashian’s Hair Loss and Bald Patches? Kim Kardashian has been photographed in Paris with what looks excessive hair loss on the right hand side of her head. Ms. Kardashian, who starred in the American reality TV show Keeping Up with the Kardashians, arrived in Paris on Tuesday 6th March for Fashion Week. She was photographed whilst waiting for her luggage at Charles de Gaulle airport. Her usually voluminous hair had a visible bald patch to the right: this could simply be a case of post-flight tousled hair caught at an unfortunate camera angle, or could more likely be an indicator of a hair loss condition. What are Telogen Effluvium and Diffuse Hair Loss? Telogen Effluvium is a hair loss condition brought on by sudden or severe stress. This additional stress causes the hair to shed more rapidly than usual. The hair follicles prematurely stop growing and enter into the telogen (resting) phase. After about 3 months in this phase, the affected hairs will shed. Hairloss caused by Telogen Effluvium is usually temporary, but in some cases the hair loss continues until the underlying cause is resolved. Telogen Effluvium can be caused by, amongst other things, emotional stress, childbirth, and starting or stopping birth control pills. Diffuse Hair Loss is a common cause of hairloss in women. The symptoms of Diffuse Hair Loss are an increased rate of hair fall and subsequent thinning from all over the scalp. Lack of nutrition can be a factor in this hair loss condition, as can stress. 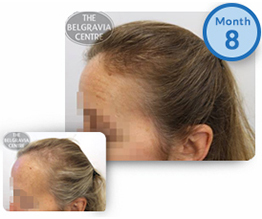 Telogen Effluvium and Diffuse Hair Thinning are conditions regularly seen and treated at The Belgravia Centre. In some cases of Telogen Effluvium the hair will grow back naturally, and our treatment programmes can help to expedite this as quickly as possible and restore the hair to its optimum condition. For Telogen Effluvium or Diffuse Hair Loss that is on-going, we seek to resolve the underlying cause of hairloss, whilst preventing further shedding. The recommended course of action for anyone wanting to investigate possible treatment for Telogen Effluvium or Diffuse Hair Loss is to contact a hair loss specialist for a formal diagnosis and, if appropriate, a tailored treatment plan. Hair Extensions Now: Hair Loss Later?